Alpha Cubic Contemporary Full Bathroom Suite - Only £633.99! In stock now for just £633.99 including VAT! Hurry while stocks last! 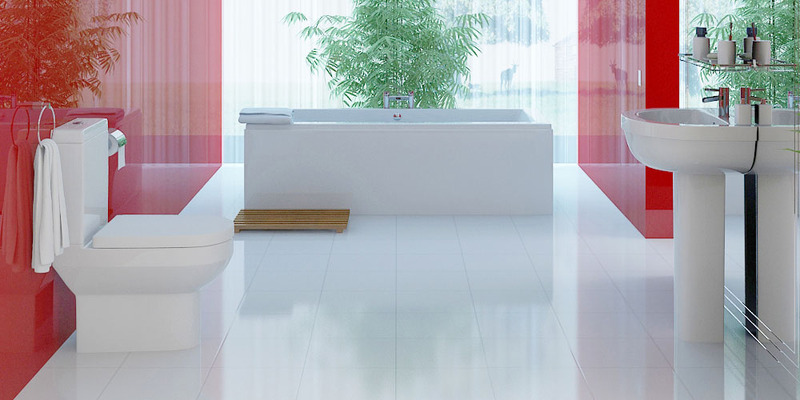 The Alpha Cubic Contemporary Bathroom Suite offers eye-catching bold lines and stark edges. This superb designer bathroom boasts a highly modern look which encapsulates the very latest in bathroom trends, resulting in a memorable and stunning suite that will be the envy of your neighbours. 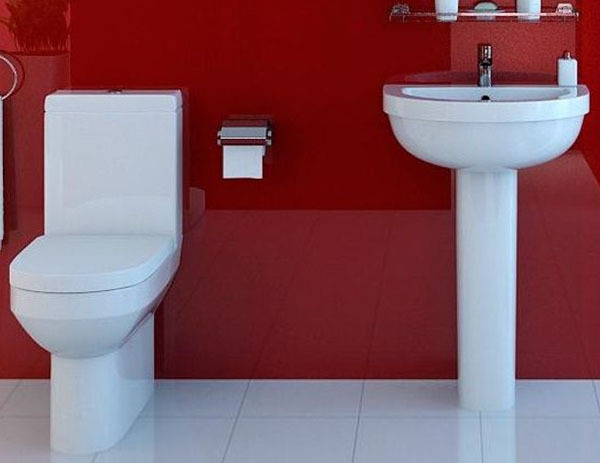 Combining excellence in quality, cutting edge design and a fantastically low price, this gorgeous full bathroom suite is the perfect place to unwind and relax. 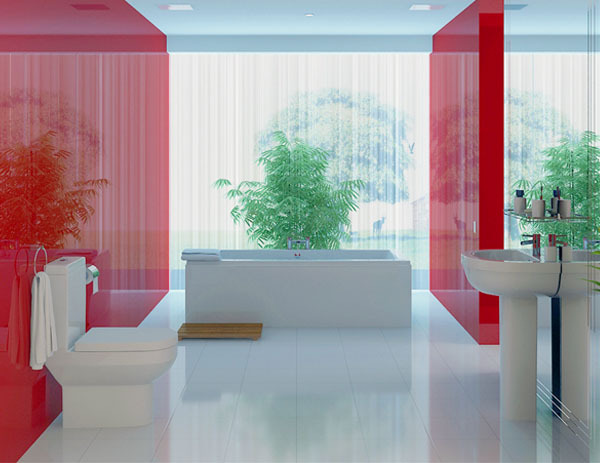 This stylish, cube-shaped bath adheres to the latest fashions in bathroom interior design, with its sharp, striking edges. This is compounded by its minimalist design, saving plenty of space within the room and creating a luxurious environment, where you can stretch out and soak aching muscles to your heart's content. 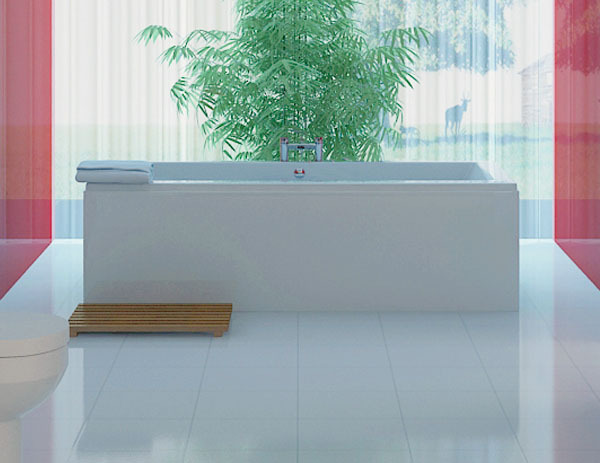 Alongside its supreme style and unmatched comfort, this bath is also extremely functional. It is constructed from 5mm acrylic and has been reinforced with fibre glass, providing it with additional strength that can combat damage or rough treatment. In addition, the foot pack is heavy duty and attaches to the bottom of the bath, giving it extra stability. And if that wasn't enough, it comes with a guaranteed 5 year warranty in the unlikely case that it will need replacing. 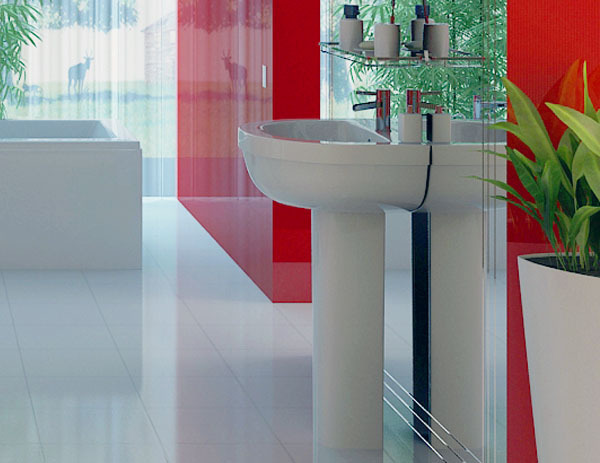 The mixer taps for the bath and basin in this full bathroom suite really finish off the contemporary look. With the stunning, cutting-edge waterfall spout on the Tec Studio H Bath Mixer, you can really add a unique, eye-catching feature to your bathroom, as it creates an unmatched feeling of luxury. The basin mixer tap offers the same level of functionality as the toilet, due to its round click slotted basin waste. This is a clever cartridge that allows you to choose between a strong flow of water and a weaker flow, helping you to maximise your water usage and further cut pesky water bill costs. These quality bathroom taps are extremely long lasting, due to the brass material containing no less than 59% copper, meaning it will not tarnish and dull over time like many cheaper alternatives. 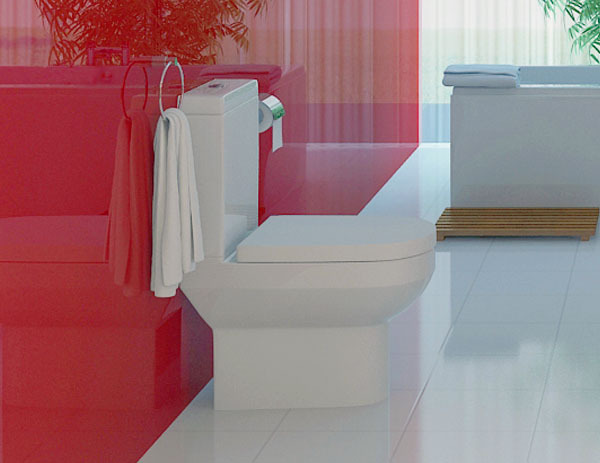 Toilet is suitable for 90° Bend and P-Trap installations, but not suitable for S-Trap installations. The Alpha bathroom suite is one of the most popular in our whole range thanks to its modern looks and highly competitive price. Review: Really really happy with our new Alpha suite! Really good value for money and really good modern look. Would highly recommend.